We provide independent podcasts and media criticism. I'll thank you on the show (unless you don't want us to) and we'll send you a keychain! I'll thank you on the show (unless you don't want us to) and we'll send you our book. Read our 2017 Transparency Report here. Thanks for helping to keep media criticism in Canada! You are now a CANADALAND Subscriber! 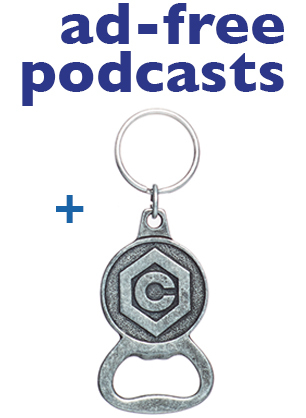 We'll send you a die-cast metal "C-logo" bottle-opener plus we'll thank you by name on an episode of CANADALAND (unless you don't want us to). Ad-Free Podcasts + Bottle Opener! You’ll get an ad-free feed of all our podcasts and a bottle opener, plus we'll thank you by name on an episode of CANADALAND (unless you don’t want us to). 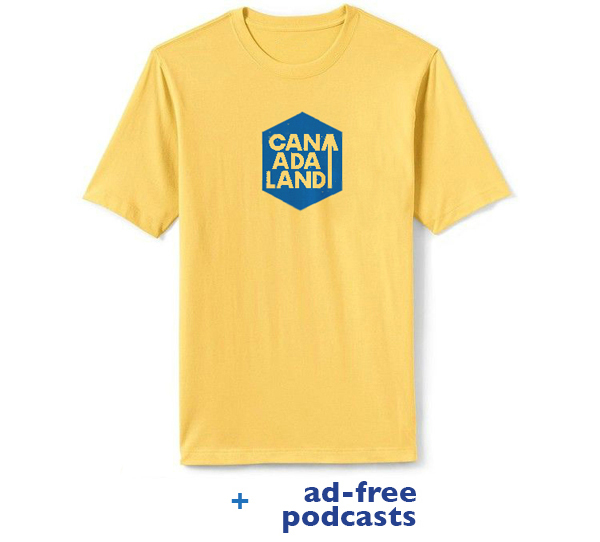 You'll get an ad-free feed of all our podcasts and we'll send you a CANADALAND t-shirt*, PLUS we'll thank you by name on CANADALAND (unless you don’t want us to). *We will email you to confirm shirt size soon after you pledge. 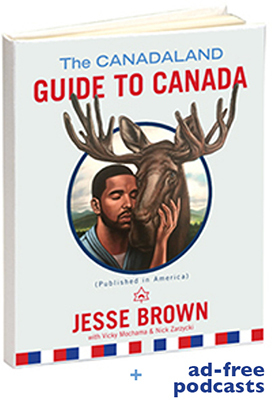 You'll get an ad-free feed of all our podcasts and a hardcover copy of the best-selling CANADALAND Guide to Canada. PLUS we'll thank you by name on the show (unless you don't want us to). You'll get an ad-free feed of all our podcasts, a copy of our book, a CANADALAND t-shirt*, and a bottle opener, PLUS we'll thank you by name on CANADALAND (unless you don’t want us to). *We will email you to confirm your shirt size soon after you pledge. ALL of the above plus you're invited to dinner and drinks with me and a bunch of other media jerks. (minimum 1 year patron commitment). REMOTE KEYNOTE PACKAGE: I will Skype in and give a talk and/or Q & A with your organization or group. ALL of the above (except the dinner and keynote) plus a custom novelty podcast made just for you, exposing the fictional scandal of your choice. (minimum 1 year patron commitment). A full-time reporter to investigate allegations of sexual misconduct in Canada. Serious allegations need to be carefully and respectfully investigated, and when appropriate, reported. Not one reporter in Canada is currently dedicated to these stories. Women (and men) who are ready to come forward need a skilled and responsible journalist who wants to hear from them. With your help, we will hire one.